Studio 19 Pilates » WHAT IS PILATES? Pilates is a series of flowing, dynamic, mindful exercises, developed by Joseph H. Pilates to strengthen and stretch the body as well as correct physiological imbalances. 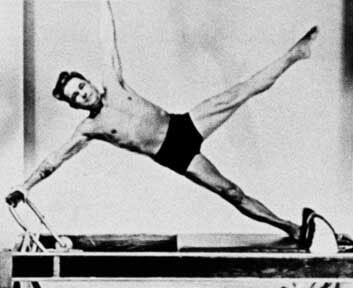 Joseph Pilates developed this system through a lifetime of study focused on both human and animal movement. It applies the principles of breathing, body centering, mental concentration, movement control, precision, and flow. 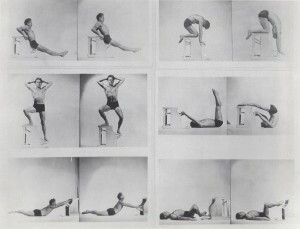 The Pilates system consists of both mat work and the use of unique apparatuses which employ springs to provide both resistance and assistance.